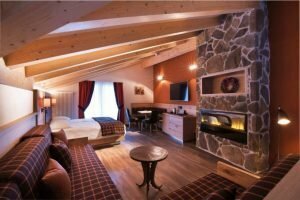 Among the snows of Campitello di Fassa, in the province of Trento, you are able to find the Chalet Marcora, a boutique hotel with a hot and comfortable SPA: an ideal place to spend the lovers’ day at the feet of Dolomites. 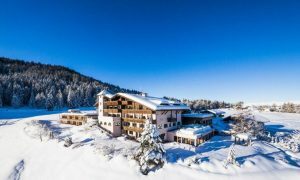 For couples, the hotel proposes the luxury juniors suites, named “dell’Angelo” and “Ornella”, two huge spaces with the balcony that oversees the mountain, a fireplace and a private sauna. If it is the relax that you are looking for, even if just for a weekend, the Park Hotel Imperial located on Limone sul Garda (BS) is perfect for you. The Hotel is made by a sober and elegant environment with a unique view over the lake. Located inside a rich Mediterranean garden, among palms, citruses, olives, colors and perfumes of the nature, in an oasis of peace. San Valentino alla Muta…the ideal place to spend the days with your partner. One of the most evocative location of Val Venosta, not so far from Resia Lake. 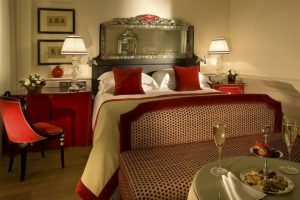 For the most romantic day of the year, the location proposes a package which includes an aperitivo, a gourmet dinner, a horse-drawn coach and a wellness program. 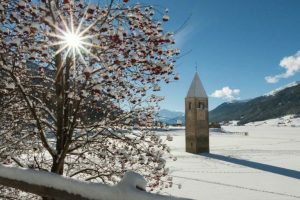 An amazing place to enjoy the time with your lover, among the snow, the tranquility and an amazing scenario of some of the most beautiful Alpine peaks: the Cantinaccio, the Sciliar and the Latemar. It is not a dream, you just need to book at Hotel Pfoesl of Nova Ponente (BZ). Made with ecological materials, the hotel offers SPA, a wellness area with a panoramic sauna and a wood bathtub with hot water for the outside bath, located on a terrace with a view. An out of ordinary place the one which is suggested da Castello di Grumello, in Valcalepio (BG). 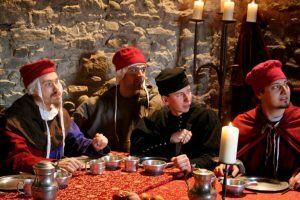 On the 14th of February, in the ancient castle is tradition to have a “Medieval dinner with the crime”: for the occasion, guests will be dressed with historical clothes and they will become characters of an evening dedicated to mystery and investigation. If you want to exceed, allow yourself to enjoy a dreaming weekend in the Eternal City, in the famous and much-loved hotel Hassler. Located over the Trinita’ dei Monti staircase, from it you can enjoy a breathtaking view of Rome. A perfect itinerary for the lovers of the romantic atmospheres and of the good wines: spend the days among the hills covered with vineyard discovering the Strada del Prosecco. 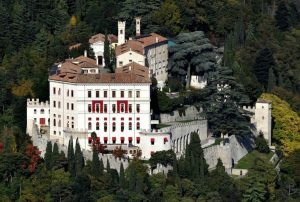 Accommodate yourself at Castel Brando of Cison di Valmarino, an amazing hotel located in an ancient castle. 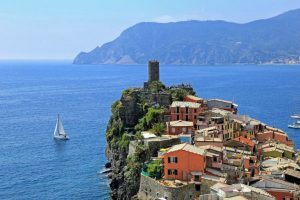 Weather allowing, this is the perfect spot to enjoy an anticipated spring, in the privacy of a small house overlooking the Cinque Terre sea. For the Valentine Day, the Francesca Resort of Bonassola (SP), a village nestled between sky and sea, suggests a couple of nights dedicated to relax in a spot provided with all the available comforts. There are no doubts: Venice is the most romantic city in the world, And a gondola trip is, for sure, the ideal way to celebrate Valentines Day. 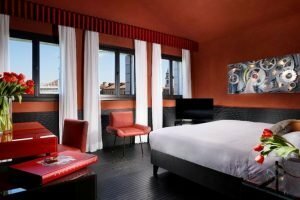 Enjoy a two-days tour in the Hotel l’Orologio, together with a tour in the Casino’, VIP treatment and, of course, a bedroom with the view of the Gran Canale. In the heart of Maremma Toscana, the Terme di Saturnia Spa & Golf Resort is a hotel derived from an ancient travertine construction surrounded by a secular park. To celebrate the lovers’ day, the Spa will open its doors also in the night’s hours, allowing the guests to do a romantic bath.